Chicago restaurant power brokers RJ and Jerrod Melman have partnered up with Joe’s Bar founders, Ed Warm and Tom DiSanto, to form a new country and western bar in Chicago’s River North neighborhood. 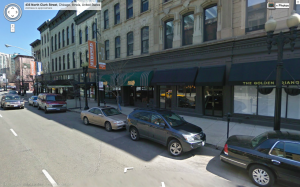 The new venue, planned to open this summer, will occupy the former Frankie Z’s location at 435 N. Clark Street. A concept that could be considered a rather stark contradiction to the existing Hubbard St. entertainment district, which is located just north of the Chicago River and behind the Merchandise Mart. The unnamed bar is set to open within three blocks from Live Nation’s House of Blues, a downtown concert venue located within the Marina City towers at State and Kinzie. We’ll be keeping an eye on this, be sure to check back.